COLUMBIA, Mo 5/8/14 (Photo Essay) -- Amir Ziv owns several properties in Columbia. Since 2002, he's been buying and selling real estate in the central city, where abandoned houses have proved a nuisance over the years. Ziv says each empty house has its own unique story. "There's probably a reason it's empty," he says. In each case, there's a "why." The "why" involves a familiar refrain of family, community, and social issues. Mental illness, hoarding, poor financial management, ill health, and loss of employment often precipitate crises that lead people to move out. Bankruptcy, divorce, and tax problems follow. 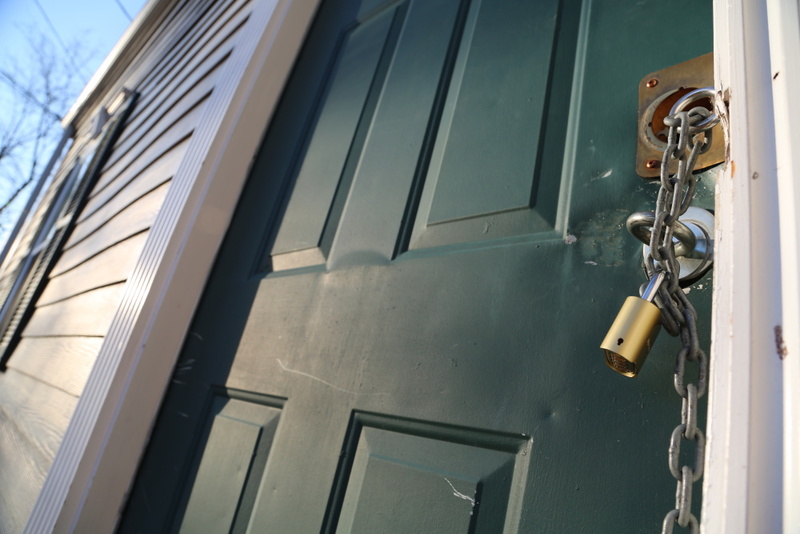 Left vacant for a year or more, a house suffers: a broken window, a kicked-in door, copper robbed from plumbing and air conditioning. One good round of frozen and burst pipes can turn a vacant house into an abandoned house, often right up until demolition. Poor infrastructure -- bad sewers, overflowing storm drains, dim street lighting, non-existent sidewalks, inadequate police protection and crime prevention -- is partly to blame for abandoned housing. If city leaders do not invest in infrastructure, homeowners pay the price. Once a house falls into disrepair, the challenges of renovation and getting it up to code can be prohibitive. Landowners may live out of state, or they may be older adults without the ability to fix things up. Landlords -- and slumlords -- are part of the neighborhood mix, too, especially where abandoned houses are abundant. Developer Robert Kunkler says most investors don't want to own empty houses. But he also says the slow pace of progress may create an illusion of stagnation. 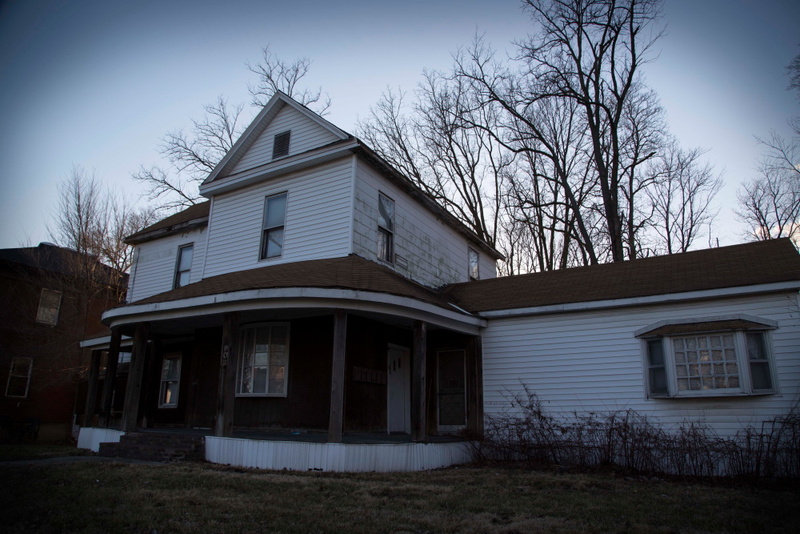 "A house that sits empty for years is not always abandoned," Kunkler said. "It just takes time to make something happen." 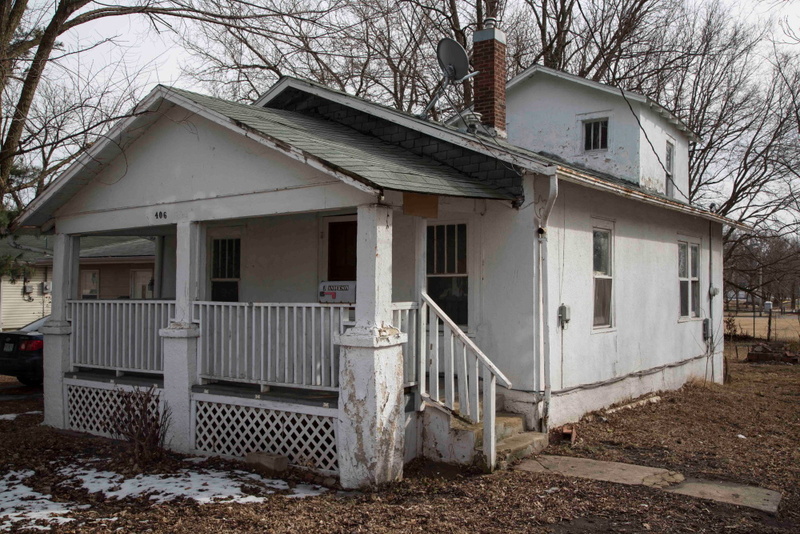 Something good did happen to Kunkler's property on Wilkes Blvd., a house with padlocked doors (above) and boarded-up windows. He recently sold it to Columbia College for a campus expansion. The college has demolished a row of notoriously ramshackle houses on the street. Matthew Schacht is a photojournalist and former reporter for the Columbia Missourian. This is his third photo feature for the Columbia Heart Beat.